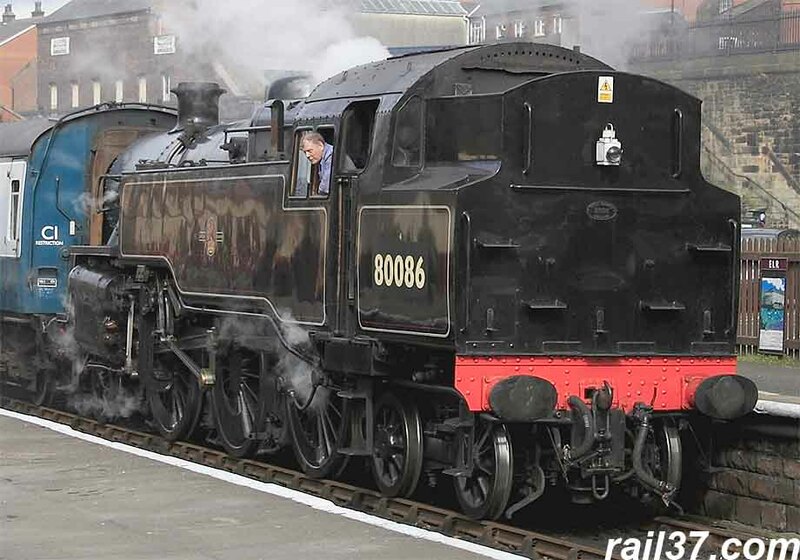 80098, disguised as 80086 (why do they do it?) was standing waiting to depart for Heywood via "the hump" - the feature where the line has to rise to get over the Manchester Metro line. 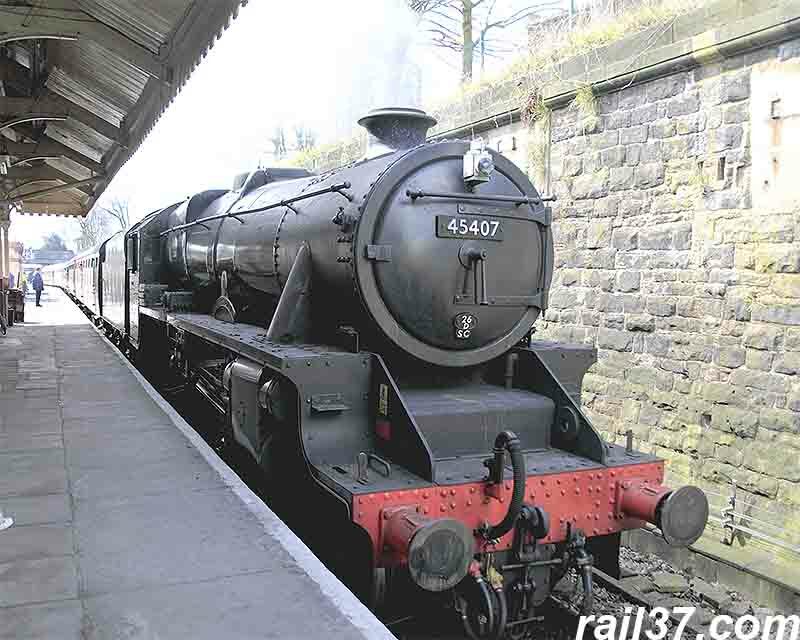 We had arrived at Bury having joined the train at Rawtenstall where there is a better car parking facility. 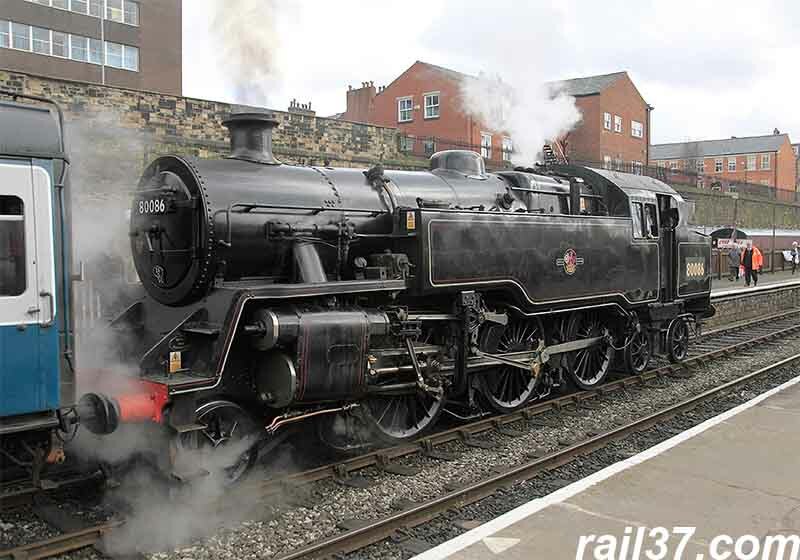 It was not the best of impressions we gained at the Rawtenstall booking office where the chap in charge was "busy" carrying on a 'phone conversation with his friend while I tried to persuade him to take the best part of £40 off me for two, day rover tickets. 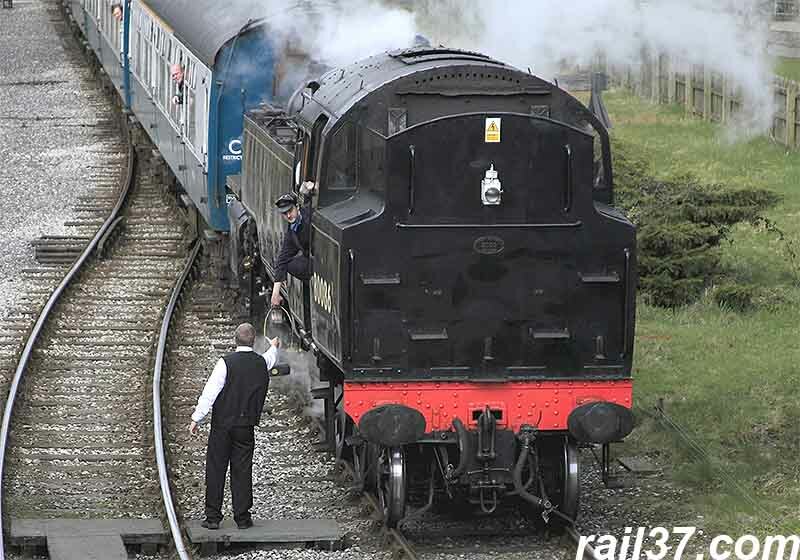 He never stopped talking the whole time and, had I not travelled some 65 miles to get there, I would have walked away - it is so rude and needs sorting - someone from the ELR please note! "Jinty" 47324 was leaving with an extra shuttle service - I don't know what that was all about and couldn't see any explanatory posters anywhere! A demonstration goods train seemed to trundle between the shed area in the South and Bury station, again it was a bit of a mystery as to what it was supposed to be or do! However, it did look cute even if the crew did appear bored. 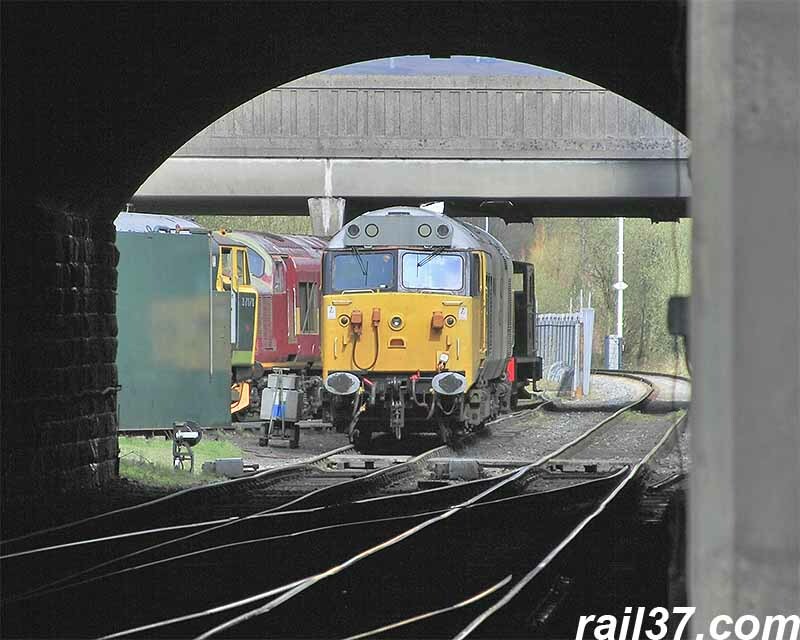 A look through the tunnel revealed some interesting looking heritage diesel stock. 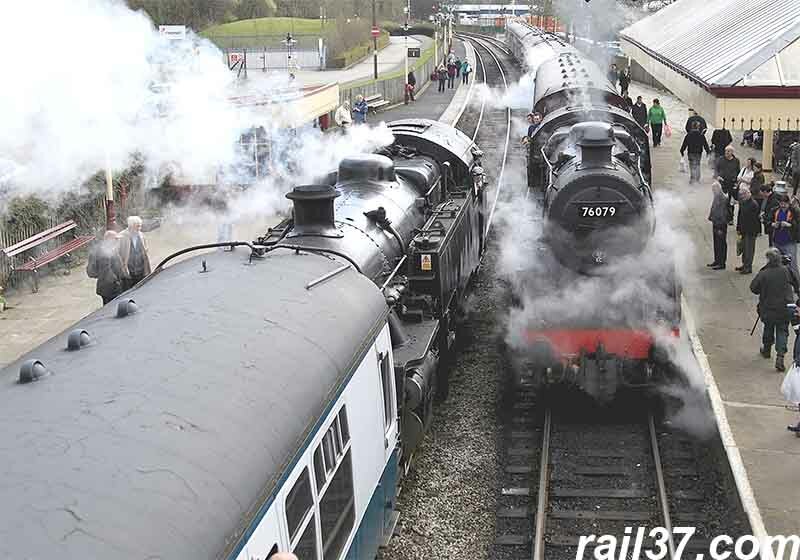 It's a pity they weren't available to see but it was, after all, a steam weekend so no complaints there. 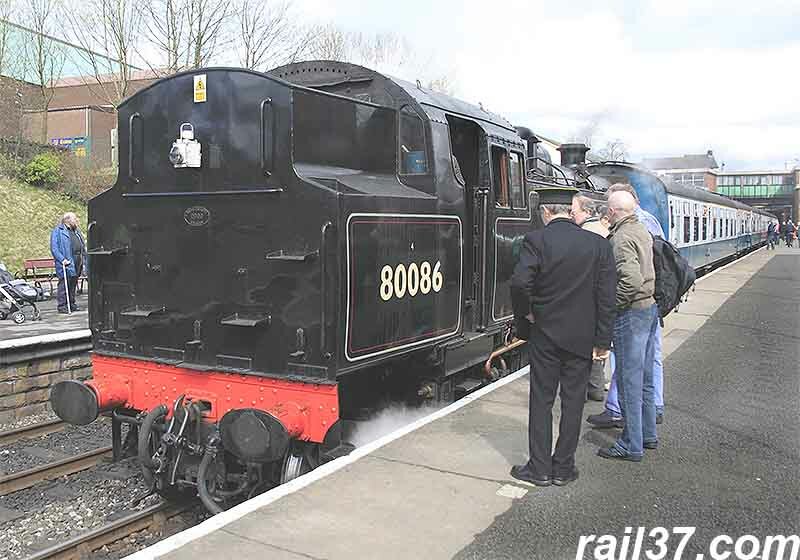 Later in the day we were treated to the appearance of an 08 shunter which collected the class 50 and took it down to the sheds so all was not lost. 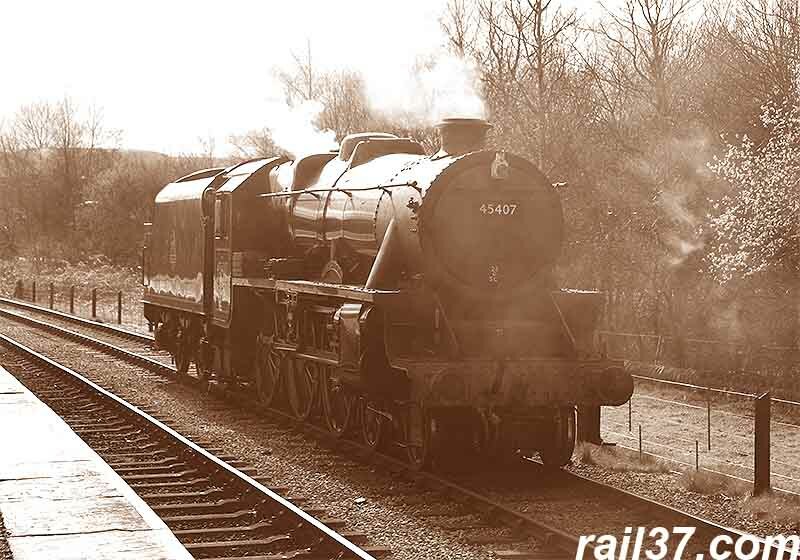 The first of Mr Riley's engines the Stanier class 5 number 45407 "The Lancashire Fusilier". 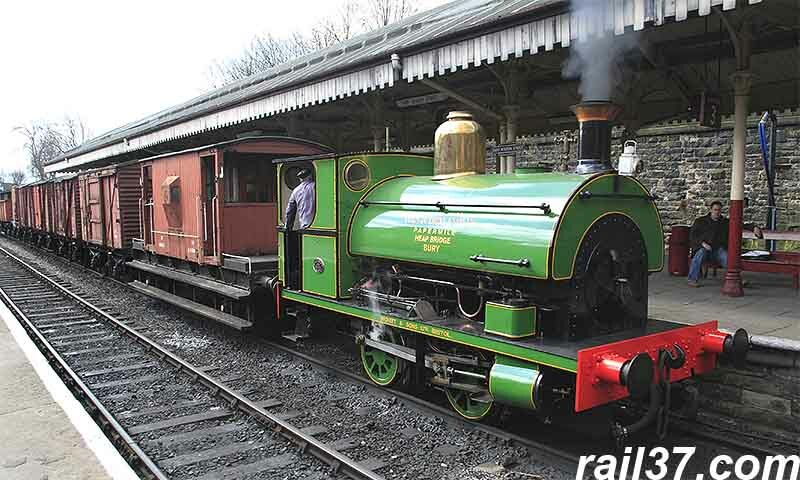 It didn't carry this name in BR ownership and in fact there were only four of the class that were named. 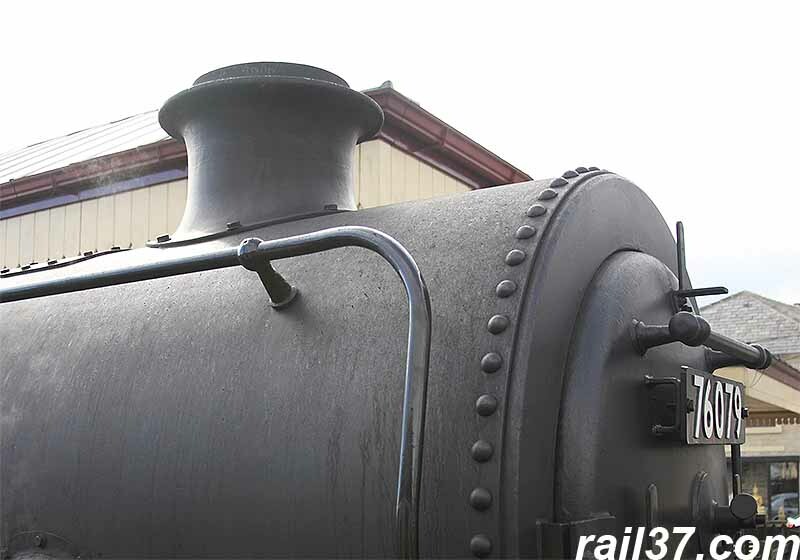 There is something about the shape of the class 5 which is aesthetically pleasing, it looks balanced and in proportion. 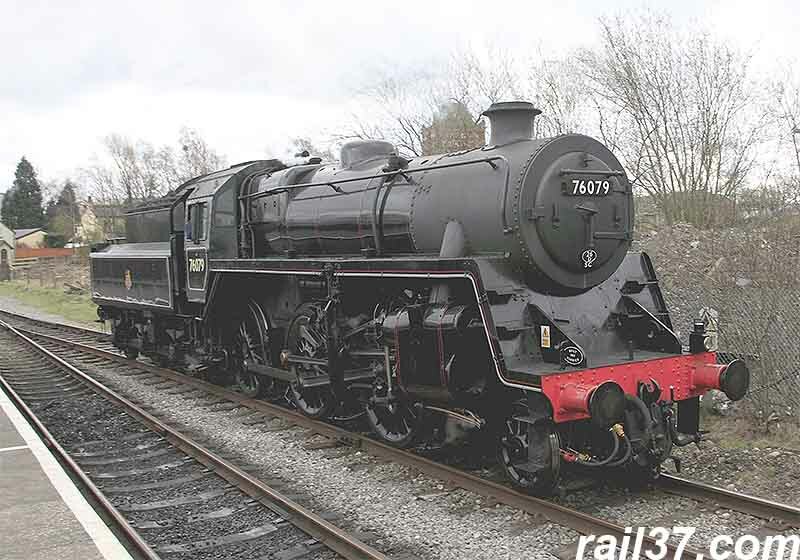 The second of Mr Riley's engines to appear was Standard class 4 number 76079. 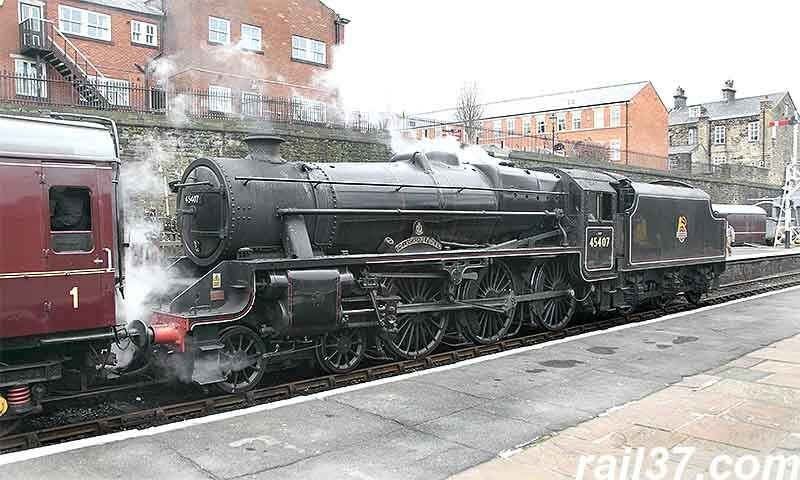 This was one of 999 steam locomotives built by British Railways in an attempt to standardise the designs across all of the regions. 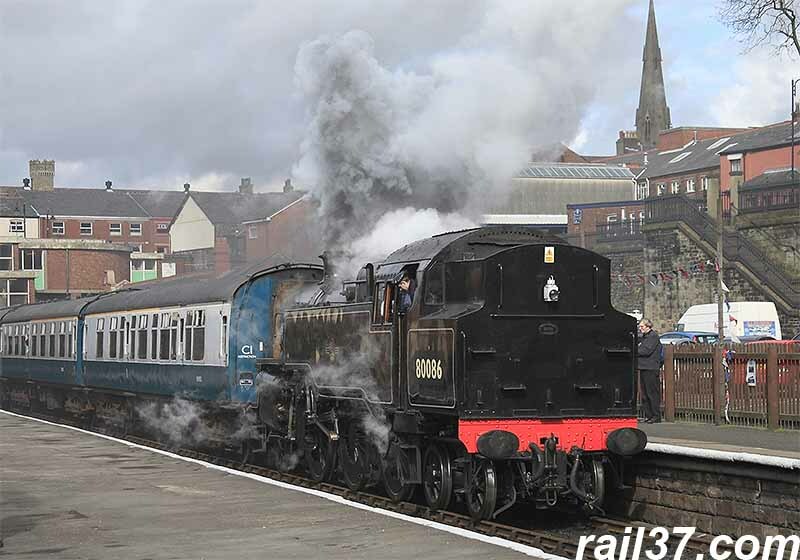 The programme was never completed because diesel traction was found to be more appealing. 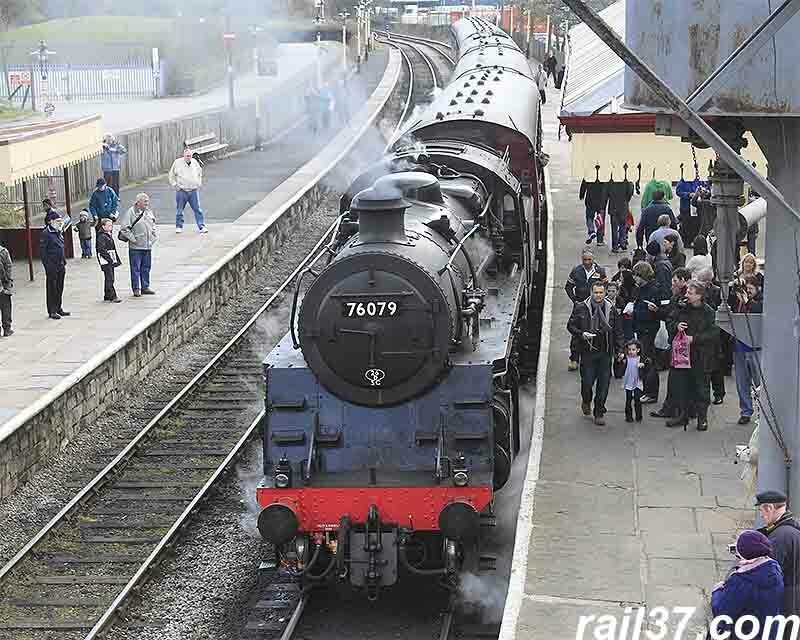 We travelled behind 76079 up to Heywood where we witnessed its runround. Back at Bury the standard tank (80098) was waiting with its stock to head out to Heywood, having arrived from Rawtenstall. 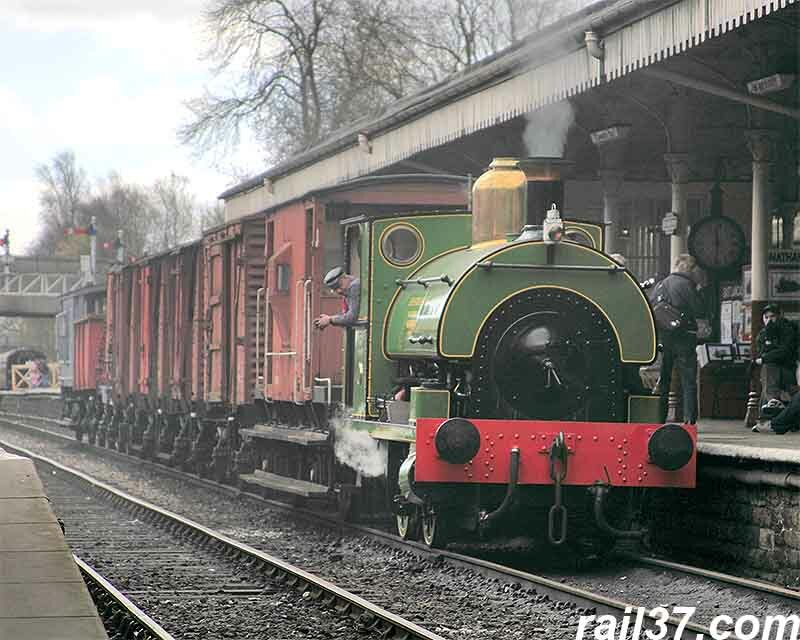 Operating three trains at once was quite a complex operation but everything seemed to be running to time. 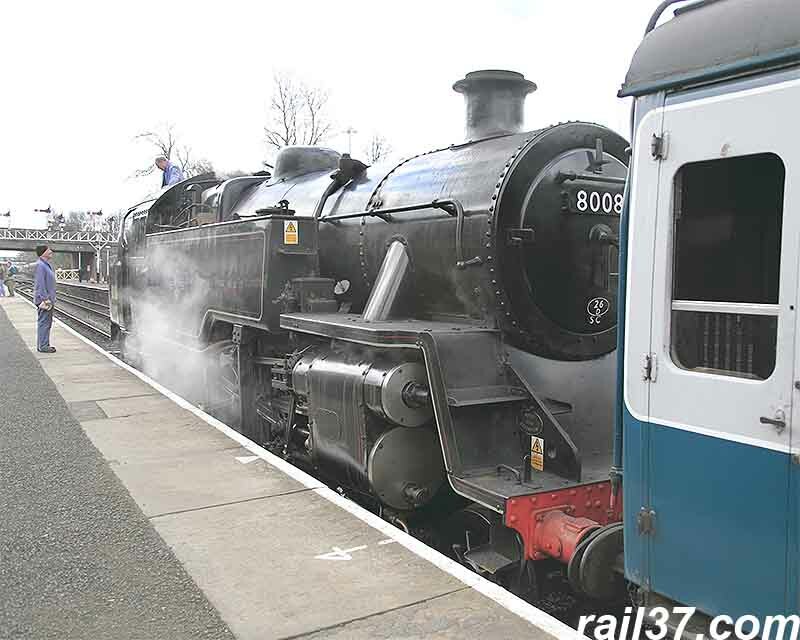 '98 left with steam and smoke - that's what we came to see. 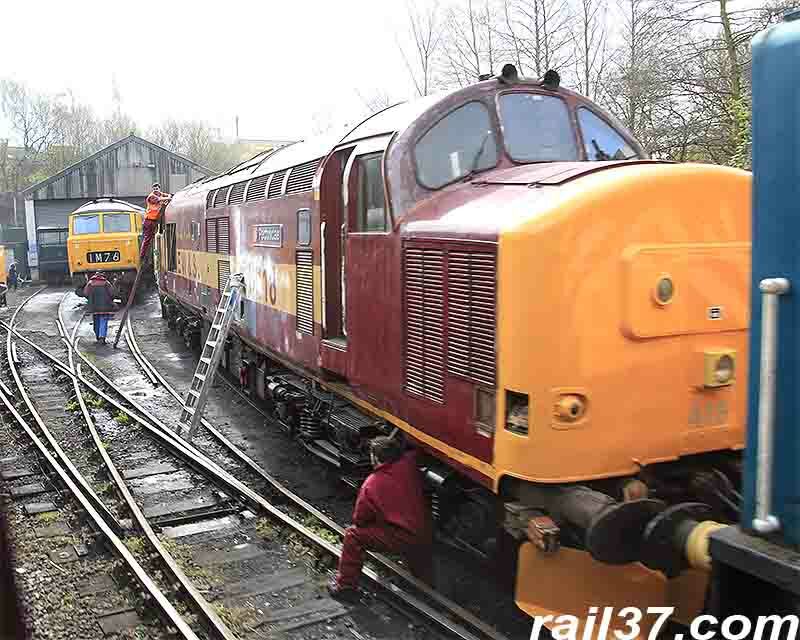 Continuing on to Ramsbottom, we passed the diesels where 37418 was under restoration. 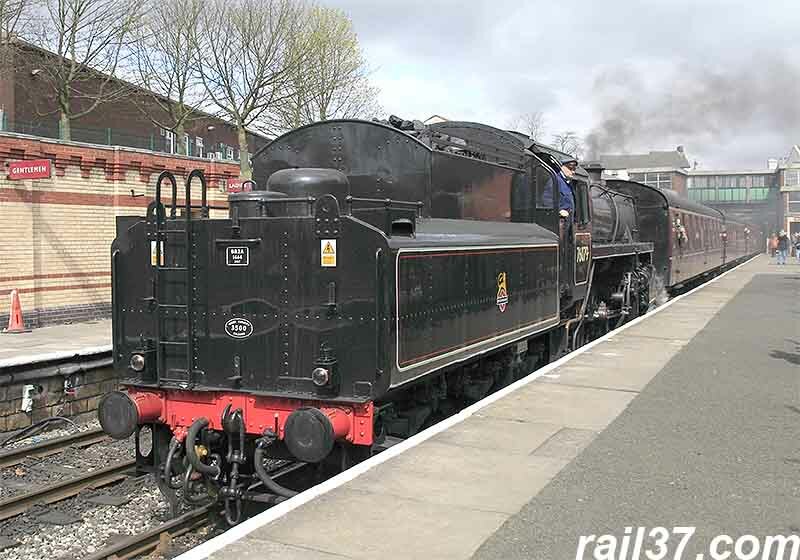 This locomotive was a regular performer in North Wales where it carried the name "East Lancashire Railway", having been so named at one of the Crewe Works open days. It currently has the name "PECTINIDAE" attached (a marine bivalve I understand) which it carried in previous times while hauling oil trains. It's great to see it has been saved when so many coastal favourites have been so cruelly cut up. 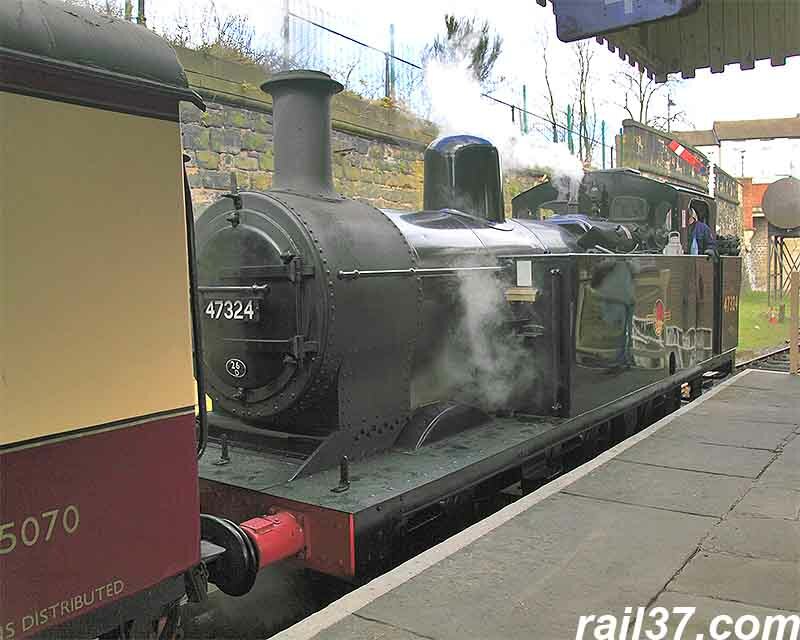 Leaving the train at Ramsbottom allowed us to see the crossover of the two services, the second of which we joined to return to Bury. 079 waited in the station for the arrival of the South bound train. 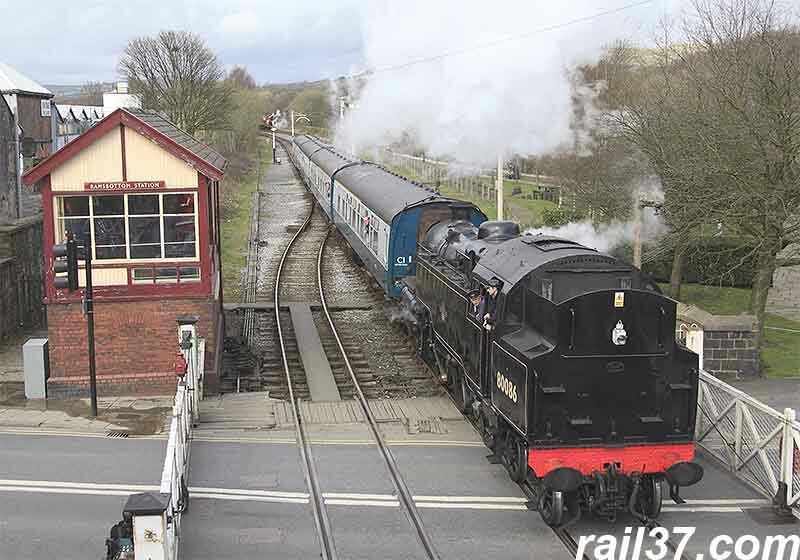 This duly arrived behind 80098 and, from the footbridge, it was possible to see the driver handing over the tablet that allows the train access to the single line to Rawtenstall. This tablet would be handed to the driver of 76079 to allow him to proceed North. 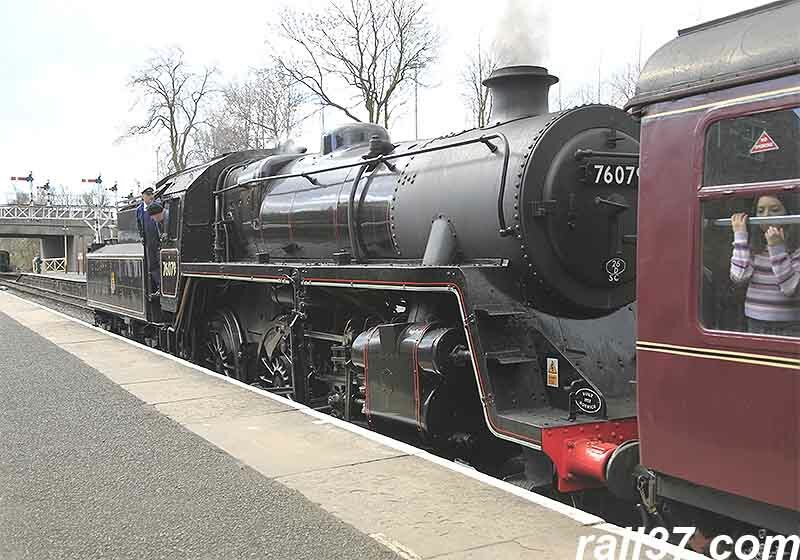 Upon boarding the train for Bury we were treated to a close-up of 079's top, front end. 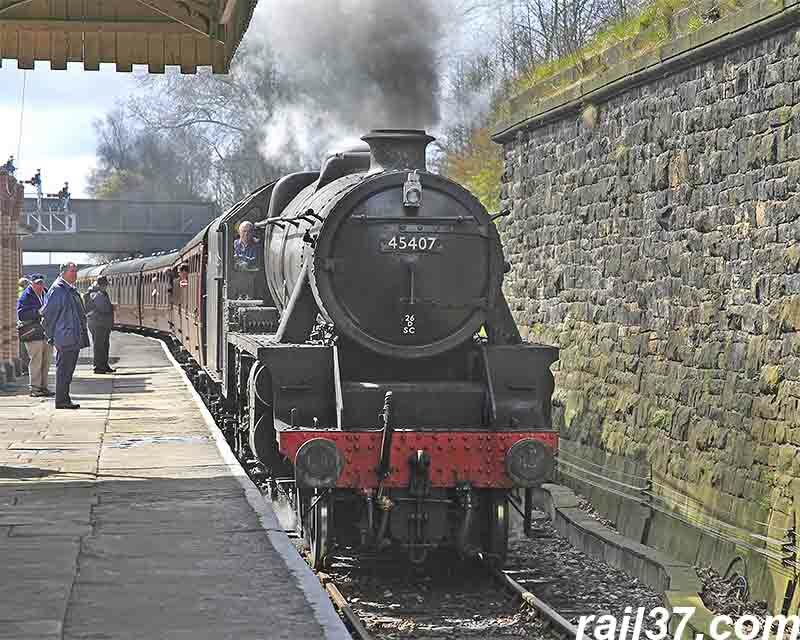 After that it was a final trip from Bury to Rawtenstall behind 45407. 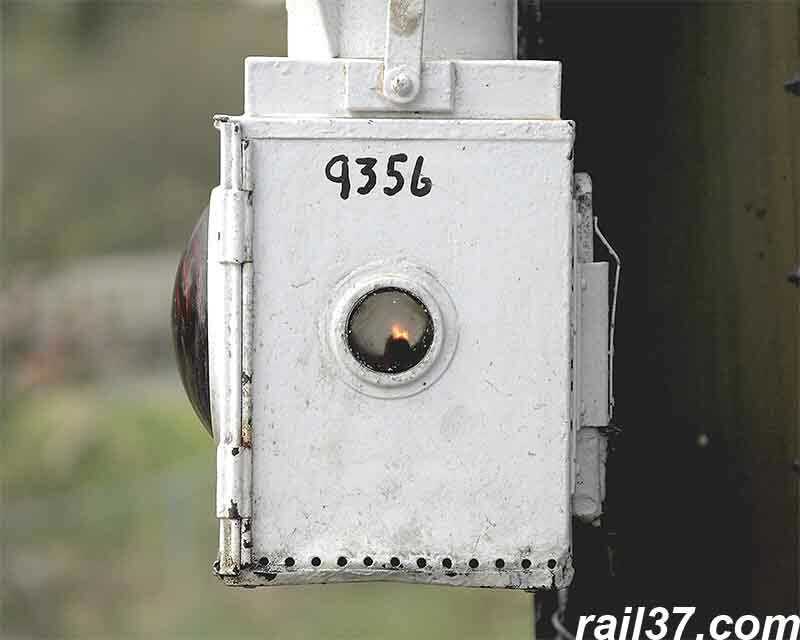 We watched the runround and then left for home with mixed impressions of the railway. 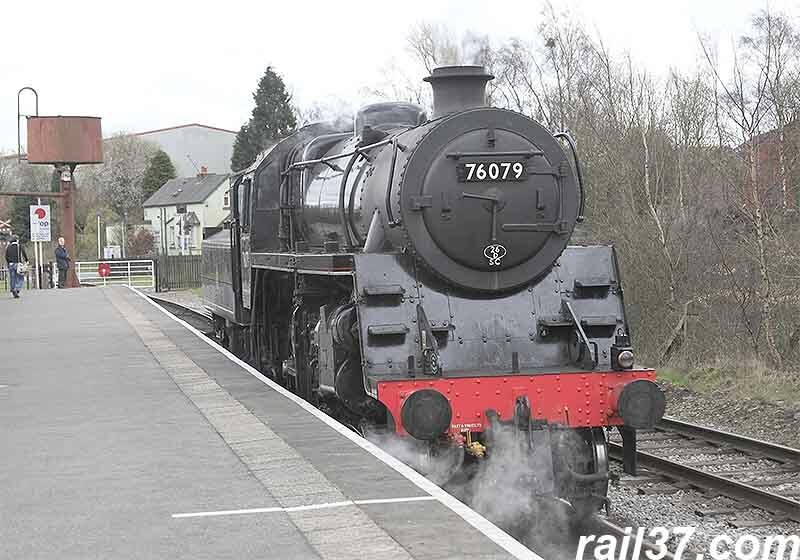 It is a large railway and must take some up-keeping so I have sympathy there but there really is a need to remind some of the staff, albeit that they are volunteers, that customers are important. Fortunately the difficult ones were in a minority and the rest were just great so, on balance, it was a good day out. And finally.......genuine oil lamps on the stock - just brilliant!